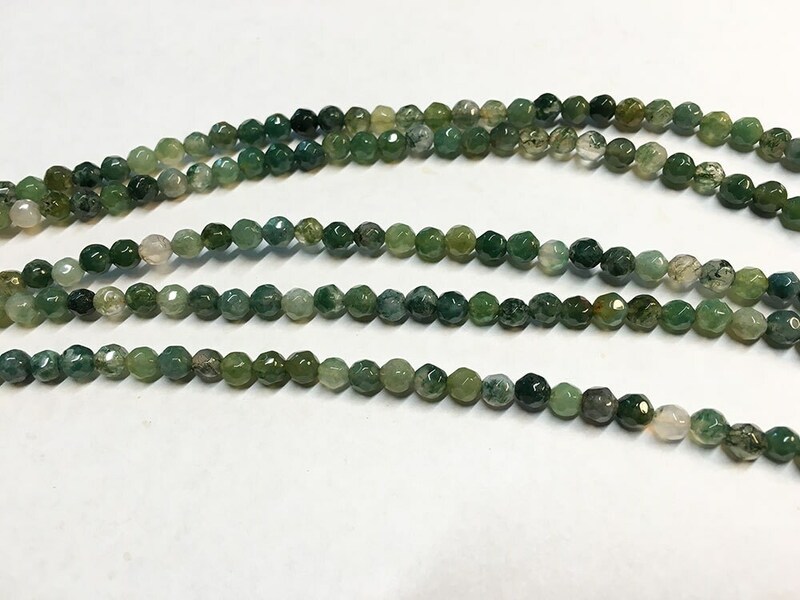 Moss agate gemstone beads, 4mm round faceted. Moss agate is a multi-shade of green that resembles moss or trees from a distance. There are approx 40 beads per 8 inch strand.